Best known for her role as Alice Tinker in The Vicar of Dibley, EMMA CHAMBERS has died at the age of 53. Her agent confirmed the news earlier today, saying she died from “natural causes”. The statement said she would be “greatly missed” before adding: “Emma created a wealth of characters and an immense body of work. Emma is survived by her husband Ian Dunn, who she married in 1991. 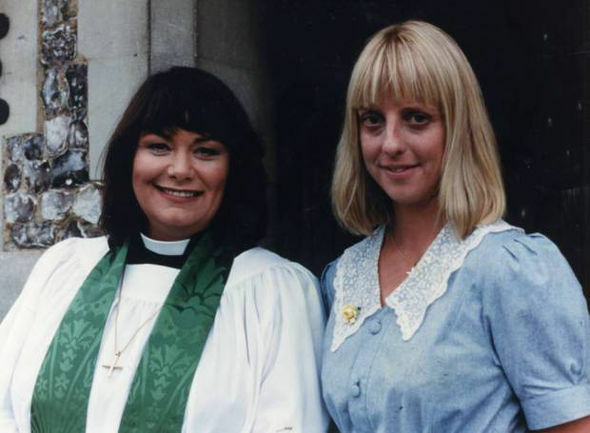 The Doncaster-born actress was a much-loved TV star, who shot to fame in 1994 when she took on the role of Alice Tinker in BBC’s The Vicar of Dibley. Emma held the role until 2007, starring in all 20 episodes opposite Dawn French. She did not appear in the two most recent Comic Relief specials which aired in 2013 and 2015. Alice was loved on the sitcom for her ditzy nature and carefree attitude.